The organizer of one of the local parenting groups I’ve worked with before recently asked me if I could recommend a sort of “Best of” book list for a new mom who was joining their group. It ended up being a really fun reflection for me–which books I like the most, which would be helpful for someone who is just starting their parenting journey… (with the disclaimer that, of course, no one who has an infant has time to actually read~) The list ranges from advice about understanding kids’ emotional lives, to childhood sexual development, to basic behavior modification, to advice about feeding and toilet training. Do you know someone who is about to become a parent? Want a starter book list for yourself or for a loved one? See below–and let me hear from you if you have book recs for new parents that you think should be on this list. The Whole Brain Child by Dan Seigel & Tina Payne Bryson. 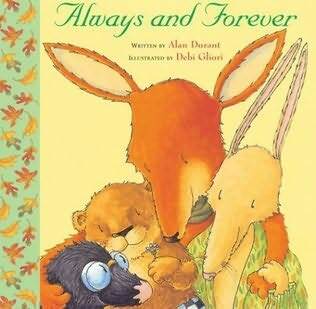 This is always my top parenting book recommendation. It is so helpful (and easy to read!) for understanding your child’s inner emotional life. 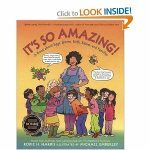 How to Talk so Kids will Listen and Listen so Kids Will Talk, AND Siblings without Rivalry both by Faber & Mazlich. These two books are classics, for a good reason! 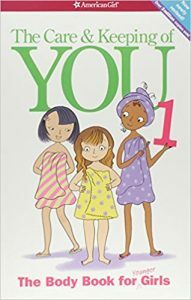 Toilet Training The Brazelton Way by T Berry Brazelton & Joshua Sparrow. Children don’t generally react well to being pushed to toilet train when they aren’t yet ready. 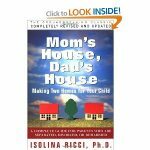 This book gives parents a clear, simple, child-centered guide to an area of parenting that can be really difficult. The first 43 pages of “Parenting the Defiant Child” by Alan Kazdin. (not pictured.) 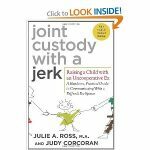 This book gives a great basic overview of some behavioral myths and facts. I don’t love the rest of the book but the first 43 pages should be handed out at hospitals in order to dispel some of the unhelpful, inaccurate ideas out there about shaping behavior. 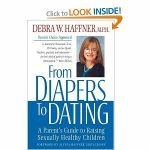 From Diapers to Dating by Deborah Haffney. 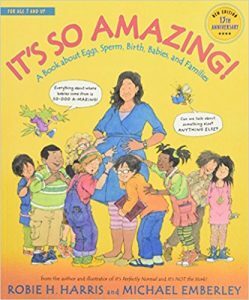 Great information about childhood sexual development for parents. Might as well get yourself educated from the beginning! 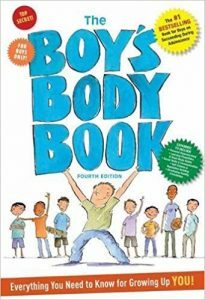 What’s the Big Secret by Laura Krasney Brown This book is for kids, and it does a great book explaining bodies & reproduction. It’s written for the youngest kids–once your child isn’t ripping pages & eating paper when they ‘read,’ they are ready for this book. When I Feel Angry (or When I Feel Sad, or When I am Missing You) by Cornelia Maude Spellman. These are also titles for kids. 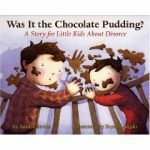 The author is a therapist, and each book does a great job of explaining emotions to kids, and giving them basic support for how to manage them. Highly recommended! Child of Mine: Feeding with Love and Good Sense by Ellen Satter. Child of Mine is the go-to book for advice on feeding kids in a nutritionally & psychologically healthy way. Protecting the Gift: Keeping Children and Teenagers Safe (and Parents Sane) by Gavin DeBecker. (not pictured.) It’s not a pleasant read, but for any parent who has concerns/fears about child safety (from human predators, specifically) this book is the evidence-based guide for how to recognize and listen to your intuition and teach your children to do the same. It also has the helpful “Test of 12” for measuring whether your child is ready to be left alone. 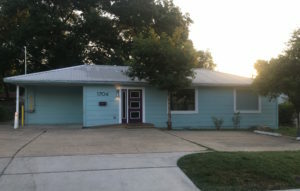 The Austin newspaper had a frightening story last weekend about a local child abduction. It is the sort of story that makes parents worry a little more and hold our kids a little closer. But, it also brings up good questions about what we parents can do to keep our children safe from harm. We know how to keep them away from the knives and the bleach, but what about dangerous people? Gavin de Becker’s book “Protecting the Gift” is a great guide for parents. In it, he encourages us to really listen to our intuition–that little guiding voice we so often try to rationalize away. Some guy creeps you out in the parking lot? There is probably a reason why–our animal instincts still work! We are able to evaluate lots of different signals like facial expressions, physical promixity, and of course the undefinable ‘creepy factor.’ And as parents, not only do we need to listen to that voice ourselves are parents–we need to teach our children to recognize and listen to that voice in their own heads, too. Although the book is a little too full (for my tastes) of frightening stories, the wisdom inside is well worth it.